In the context of real estate transactions, there are basically two types of fraud: fraudulent misrepresentation and fraudulent concealment (with “fraudulent nondisclosure” sometimes being referred to as either a third type of fraud, or, a type of fraudulent concealment). The elements of fraudulent misrepresentation are: (a) a false representation concerning a fact material to the transaction; (b) knowledge of the falsity of the statement or utter disregard for its truth; (c) intent to induce reliance on the misrepresentation; (d) reliance under circumstances manifesting a right to rely and (e) injury resulting from the reliance. Sanfillipo v. Rarden, 24 Ohio App. 3d 164. The basic elements of fraudulent concealment are: (a) actual concealment; (b) of a material fact; (c) knowledge of the facts concealed; (d) intent to mislead another into relying upon such conduct; (e) actual reliance; and (f) injury resulting to such person because of such reliance. 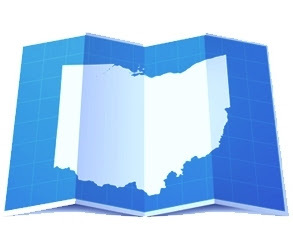 Even without an affirmative misrepresentation or “actual” concealment, an action for fraud, commonly referred to as “fraudulent nondisclosure” is also maintainable in Ohio for failure to fully disclose material facts where there exists a duty to speak. In such regard, the Supreme Court of Ohio has held that a “vendor has a duty to disclose material facts which are latent, not readily observable or discoverable through a purchaser’s reasonable inspection.” Binns, 35 Ohio St.3d at 178. In 2015, Mr. Hendry purchased a home in Olmsted Falls, Ohio from the Lupicas (sometimes referred to herein as the “Sellers”). Prior to closing, the Sellers produced a residential property disclosure form that disclosed dampness and previous water damage in the basement. Mr. Hendry also had the home inspected by a professional inspector. The inspector found several issues with the basement, including foundation wall cracks, holes and signs of water infiltration. The inspector’s report also noted that the condition of the foundation was poor and advised Mr. Hendry to seek additional information about these issues prior to purchasing the property. Mr. Hendry did not follow that advice, and instead, negotiated a price reduction with the Sellers. Not to long after the purchase, Mr. Hendry experience water infiltration in the basement when it rained. He hired a waterproofing company to fix these issues, and then filed suit against the Sellers in September 2015, alleging fraud and mutual mistake, and requesting compensatory and punitive damages, or rescission of the contract. Mr. Hendry contended that the caveat emptor doctrine did not apply because the Sellers fraudulently misrepresented and/or failed to disclose the extent of water intrusion problems in their basement. The Sellers only disclosed some dampness and some water damage that occurred prior to their ownership of the home. Mr. Hendry further argued fraudulent concealment because the Sellers did not divulge that they had recently painted a wall in the basement. The trial court held for the Sellers and Mr. Hendry appealed. The Eighth District Court of Appeals upheld the trial court’s ruling for the Sellers, easily coming to the conclusion that there was no fraud or misrepresentation. The appellate court reasoned that the evidence clearly established that Mr. Hendry had actual knowledge of water infiltration in the basement through his professional home inspection. The inspection reported large cracks and holes in the foundation, and other problems and advised further investigation. Rather than investigate further, Mr. Hendry “bought the defects” by negotiating for a price reduction. There was no misrepresentation because the statements made by the Sellers were all true (there was dampness and prior water issues). Further, there was no fraudulent non-disclosure because there was no duty for Sellers to disclose everything they knew about its property; only latent, not readily observable or discoverable defects. According to the court, an open and obvious small defect was notice to the buyer that a larger problem may exist. Finally, the painting of one wall was not deemed concealment by the court because it did not conceal the extent of the problem; the cracks, holes and stains were still evident, and the inspection report backed this up. In August, 2013, David Petroskey (sometimes referred to herein as “Buyer”), and Dee Martin (sometimes referred to herein as “Seller”), entered into a purchase agreement for a home in Lorain, Ohio. The seller in Petroskey v. Martin also completed an Ohio Residential Property Disclosure Form. However, where the Martin Disclosure Form asked, “Do you know of any previous or current leaks or other material problems with the roof or rain gutters? …. (but no longer than the past 5 years),” Mrs. Martin checked the “No” box. In her deposition, Mrs. Martin testified that, at the time she completed the Disclosure Form, she “thought it was about seven years” since they had the roof replaced. Shortly after his purchase, Buyer suffered ice damming on the roof, leaking skylights and a leaking roof. In addition, Mr. Petroskey testified that “the front yard did not drain properly and water entered the crawlspace and collected on the floor.” Mr. Petroskey then sued the Seller alleging misrepresentations in the form of Seller’s Disclosure Form declarations that there were no roof leaks at the property. Whereas the Seller in Hendry v. Lupica failed to disclose the extent of the defects (a distinction without a difference according to the Hendry court), the Seller in Petroskey v. Martin denied there were any problems at all. Accordingly, the trial court and the appellate court in Petroskey v. Martin aptly agreed with the Buyer’s characterization of the “no” answer on the Disclosure Form as a misrepresentation. The courts noted, however, that only a claim for fraudulent misrepresentation was actionable, and the evidence failed to show that the misrepresentation was made with knowledge of its falsity, or with reckless disregard as to whether these statements were true or false (recall that Mrs. Martin testified that she thought the roof repairs were completed over seven years ago vs. within five years as called for on the Disclosure Form). Like the seller in Hendry v. Lupica, the seller in Petroskey v. Martin argued that there was no fraudulent-non-disclosure because the seller had no duty to disclose material facts which are not latent, and readily observable or discoverable through a purchaser’s reasonable inspection. Clearly, there was no question of past water leakage and water staining in the Lupica home, as well as in the Martin home. Both homes showed signs of the same, and the inspection reports for both properties clearly identified water leakage and staining. The buyer in both cases argued that the respective defects in their homes were latent. The buyer in Petroskey v. Martin, however did not argue latency regarding the extent of the defect (as the buyer in Hendry v. Lupica unsuccessfully had), but rather, latency regarding the cause of the defect. Mr. Petroskey testified that he had to pay approximately $50,000 for a new roof and argued that the inspection report did not specifically mention ice damming and roof issues as the cause of the water intrusion and leakage. What is the moral of this story? 1) Never waive your rights to inspections; 2) don’t rely on the Disclosure Form, which more often than not turns out to be a “non-disclosure form;” 3) if any defect is uncovered in an inspection report, assume it is a big deal and investigate it further with an expert (per the court in Hendry, an open and obvious small defect was deemed notice to the buyer that a larger problem may exist); and 4) if you decide to “buy the defect”, make sure you know the price to repair it.